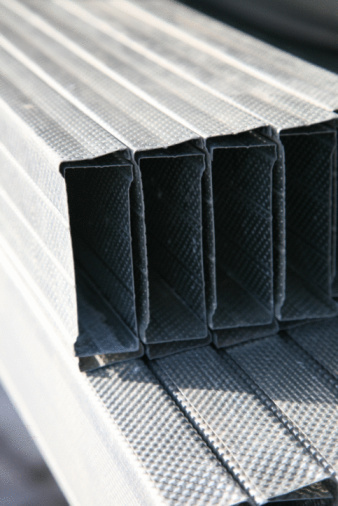 There are two types of steel used in construction projects: galvanized and untreated. Galvanized steel is coated with zinc in order to reduce rusting, add durability and allow for easier priming and painting. The galvanization process produces noticeable crystallized pattern with matte, shiny and yellowish color variations. On the other hand, untreated steel is smooth and uniform in color and will not last as long in applications where it is exposed to the elements or moisture. Galvanized steel is easily recognizable with a simple test. Prepare a solution of three parts salt to one part water that will be used to test the steel sample. Exposing the steel sample to the salt and water solution is the quickest and easiest way to determine whether or not your sample has undergone the galvanization process. Dip an old cloth into the salt and water (saline) solution and wipe it on the sample of steel. Set the sample aside for 24 hours to allow the it to develop rust. Heavily saturate the sample in order to allow the saline solution to permeate the steel. Examine the sample for the presence of rust after it has rested for 24 hours. Untreated steel will show the presence of rust within a day's time, while galvanized steel will not allow rust to form. The zinc coating becomes a part of the structure of the steel during galvanization and prevents corrosion. Lick the sample of steel if you are still unsure whether or not your sample has undergone the galvanization process. Galvanized steel tastes chalky and the taste is distinct and very noticeable. Assess the results of your tests and look closely at the color of your samples. 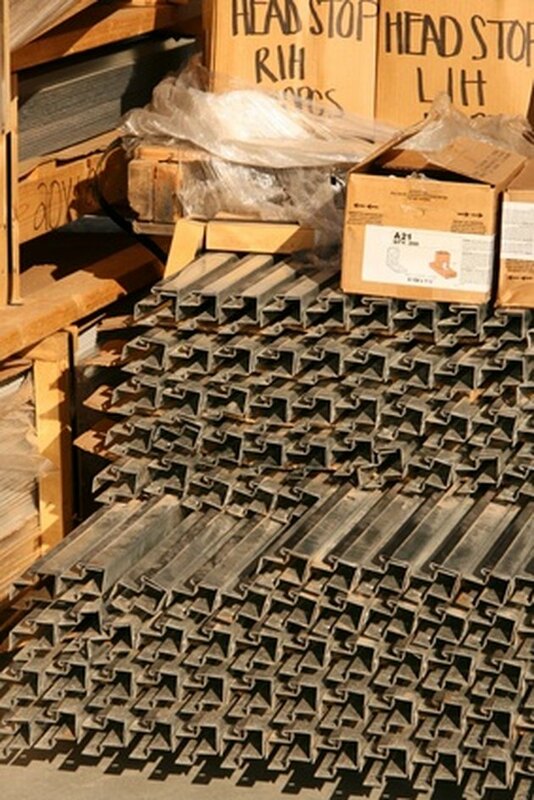 If your steel sample shows variations in color and pattern and lacks the presence of rust, it is probable that the sample has been galvanized. If the sample is uniform in color and it rusts, it is safe to assume that it is untreated steel. Emily Jones started writing professionally in 2003. Her articles have been published in "North Georgia Living," "The Athens Banner-Herald" and "Mainstreet News." Jones received her Bachelor of Science in business education and English literature from the University of Georgia.